Personalized United Family Garden Stone. What make a home special? The garden decoration can bring beauty to any home garden. 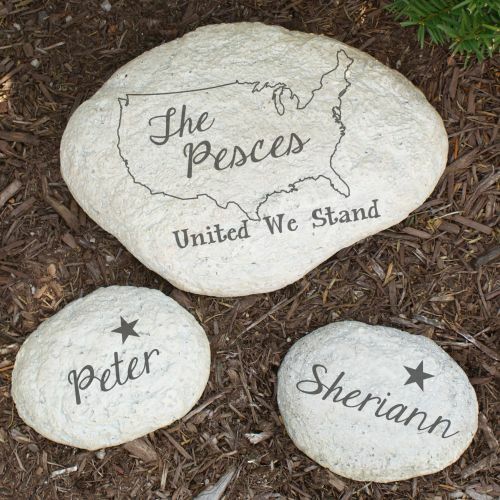 Show your patriotic spirit with our Engraved United Family Garden Stone. With a Garden Stone you can really bring out your garden. Garden stone makes a lovely greeting at the entrance or walkway. Make your garden special with a keepsake Garden Stone.